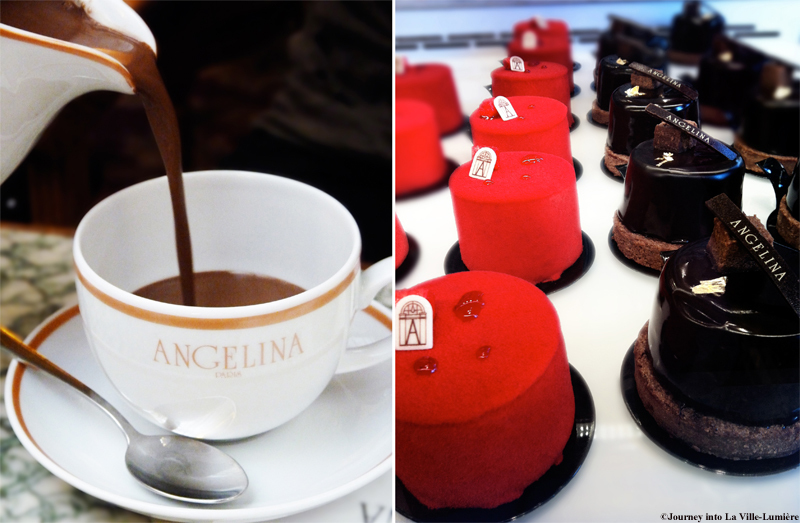 EN: Founded by Austrian confectioner Antoine Rumpelmeyer in 1903, Angelina is situated on one of my favourite streets in Paris, Rue de Rivoli, where you can taste the world-famous hot chocolate "L'Africane." After a nice walk in Jardin de Tuileries, directly across from Angelina, me and my friend we decided to try the chocolate for the first time. 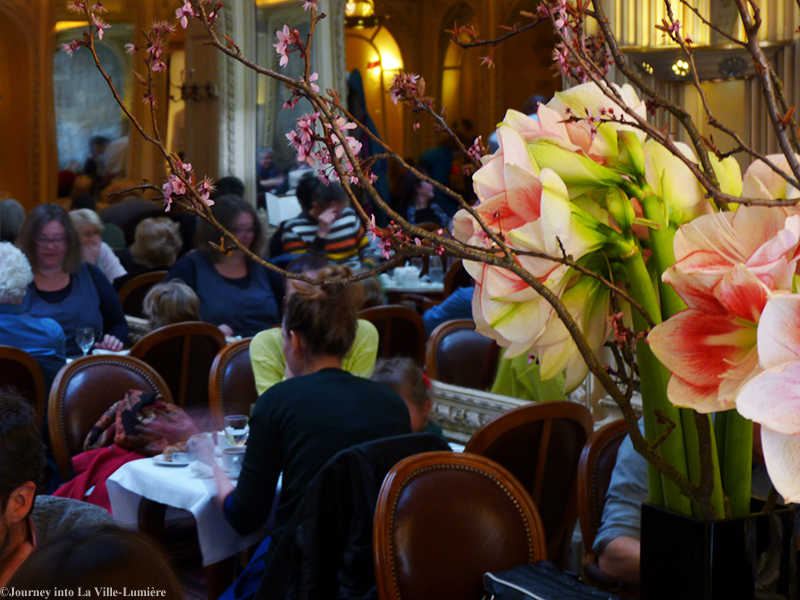 Luckily we didn't have to wait long to be seated in the elegant and stylish Belle Époque tearoom (there is usually a long queue to get inside). Honestly, this was the richest chocolate I've ever tried. With a touch of whipped cream on top I can easily call it a "meal" rather than a drink as we were full for the rest of the day. 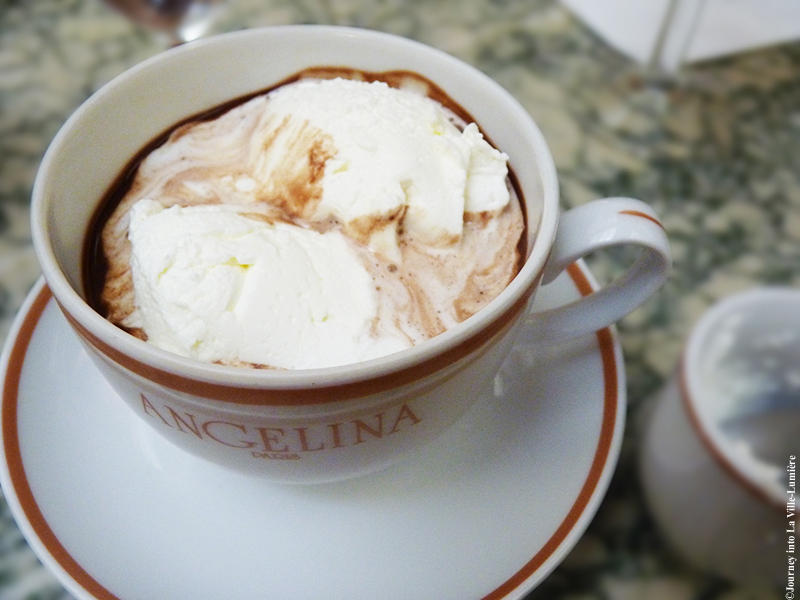 Wishing you all a sweet sunday maybe with a cup of hot chocolate. SK: Zalozena Rakuskym cukrarom Antoinom Rumpelmeyerom v roku 1903, Angelina sa nachadza na jednej z mojich oblubenych ulic v Parizi, Rue de Rivoli, kde mozete ochutnat svetovo preslavenu horucu cokoladu "L'Africane." Po kratkej prechadzke v Jardin de Tuileries, priamo naproti Angeline, sme sa ju s kamaratkou vybrali vyskusat po prvy krat. Nastastie sme nemuseli dlho cakat na stol v elegantnej a stylovej cajovni z obdobia Belle Époque (obvykle je pred Angelinou dlha fronta dostat sa dovnutra). S uprimnostou mozem povedat, ze to bola ta najsytejsia cokolada aku som kedy skusila a s porciou slahacky na vrchu ju kludne mozem nazvat skor ako "jedlom" nez napojom, boli sme plne po cely zvysok dna. Prajem vam vsetkym sladku nedelu, mozno aj so salkou horucej cokolady. Hi Paulina, I haven't been to any of them but will definitely plan a visit to Cafe de Flore as I have heard a lot about the place. There is so much to discover in Paris, thank you for the tip! Have you been there before?